Pavilion REIT (Real Estate Investment Trust) Initial Public Offering (IPO) received an overwhelming response with its public portion of 34 million units. It was oversubscribed by 21.75times. The IPO attracted 32,781 applications or 773.6 million units. In addition, 24.5 million units initially set aside for eligible directors and employees were made available for Malaysian Public. Institutional and retail price was fixed at RM1.25 per unit. 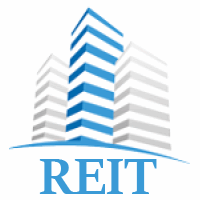 Pavilion REIT (Real Estate Investment Trust) Initial Public Offering (IPO) received an overwhelming response with its public portion of 31 million units. It was oversubscribed by 7.49 times. The IPO attracted 9,446 applications or 232.3 million units. In addition, 1.5 million units initially set aside for the Preferential Allocation were made available for balloting. Institutional price was fixed at RM0.90 per unit & retail offering was fixed at RM0.88 per unit.